Five 7 rings on branches stemming from a 14 round base plate. 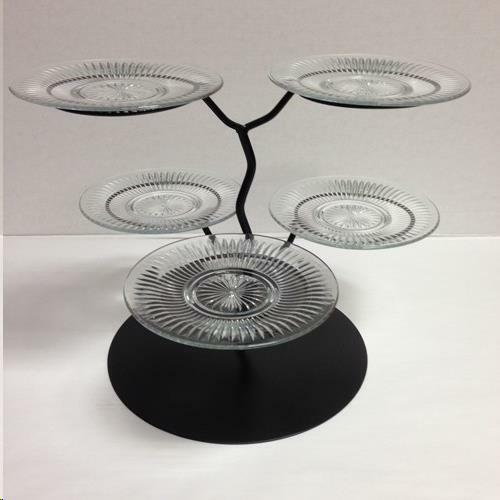 Each arm holds a 10 Cut Glass Plate (included) Stand has a matte black finish. 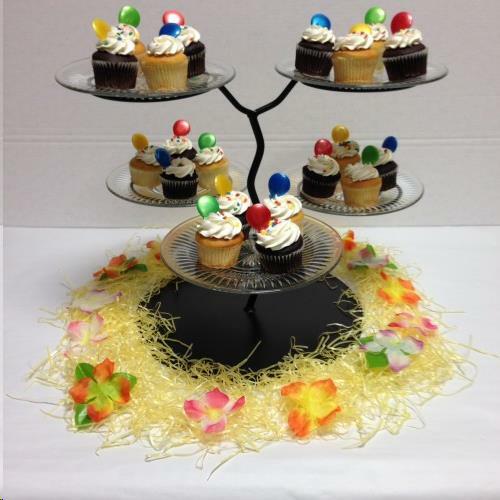 * Please call us for any questions on our cupcake stand black with glass plates rentals in Eastlake OH.